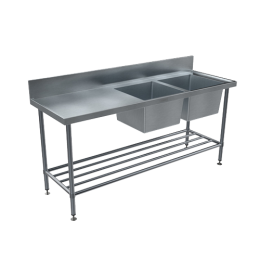 Commercial quality, modular stainless steel benches, sinks and shelving system. Britex is internationally recognised as one of the world’s most innovative designers and fabricators of stainless steel products, commercial grade plumbing fixtures and architectural fittings. Many of our world-first product design innovations are today commonplace amongst stainless steel fixtures available around the world. 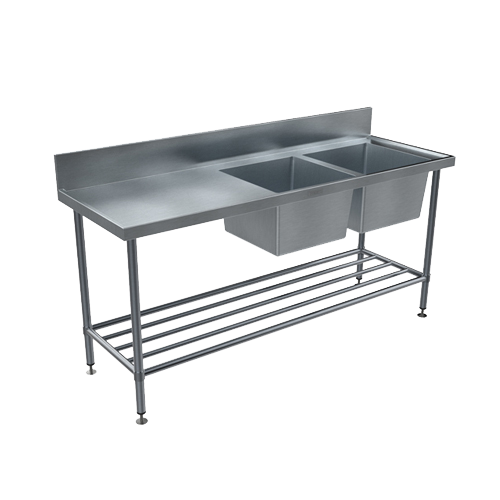 Britex began in Melbourne, Australia in 1938 as a pioneer in the pressing of one-piece stainless steel sink bodies and today utilises state of the art design and fabrication techniques to produce products that are highly sought after by project specifiers and facility managers alike. The use of high quality fixtures is critical to the success of any commercial project. With this in mind, Britex products are designed and manufactured to a standard that ensures specifiers can select our fixtures in the knowledge that they are choosing the finest stainless steel products available - fixtures that will contribute to an overall outcome of excellence.